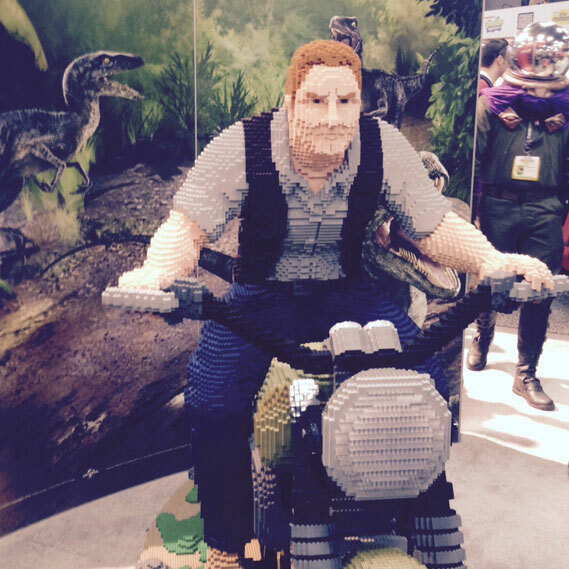 So, in case you haven’t been on the Internet the past few days, San Diego Comic-Con 2015 was last week. Lots of major announcements were made, and tons of new trailers were shown. 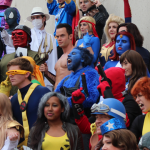 Two of the biggest stories to come out of the event had to do with what are probably the two most hotly anticipated movies of this year and next: Star Wars Episode VII and Suicide Squad. 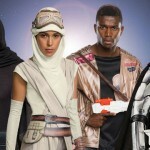 Lucasfilm showed off this behind-the-scenes reel for The Force Awakens, which has, predictably, blown up. 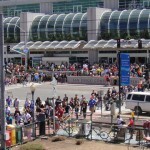 Racking up well over 1 million views a day on YouTube since it was screened in Hall H, the video shows a glimpse at the production of a few of scenes seen in the trailers for the movie. As we mentioned in our comprehensive guide to the Joker’s character, when Jared Leto’s Joker was first revealed on Twitter in early 2015, the Internet’s reaction was lukewarm at best, to put it kindly. In the trailer that Warner Bros. screened in San Diego, though, Leto’s performance (though briefly shown, of course) won over fans handily. Margot Robbie as Harley Quinn and Will Smith as Deadshot looked great, too. 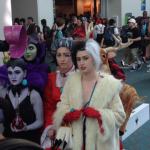 We were at Comic-Con, too, to see the sights and check out the cosplay. 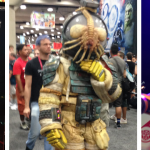 From costumes and characters of all shapes and sizes, to some of the most amazing displays and exhibits we’ve ever seen, here’s a rundown of the 20 coolest things we saw at Comic-Con 2015. 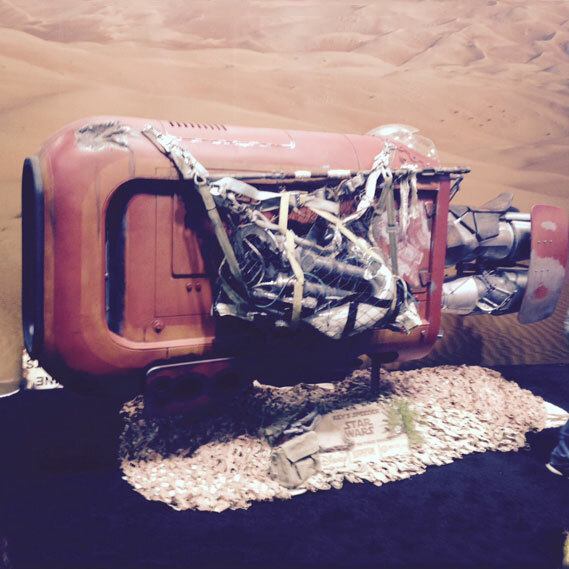 Rey’s Speeder from Star Wars Episode VII: First seen in the first-ever trailer for the movie, the speeder appeared at Comic-Con in person. 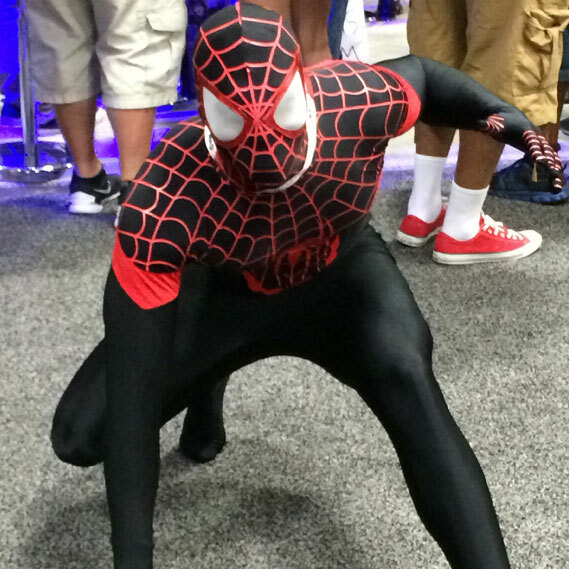 Ultimate Comics Spider-Man: We saw tons of classic Spider-Man costumes at the event, but not many in Miles Morales’ black and red, as this con-goer wore. 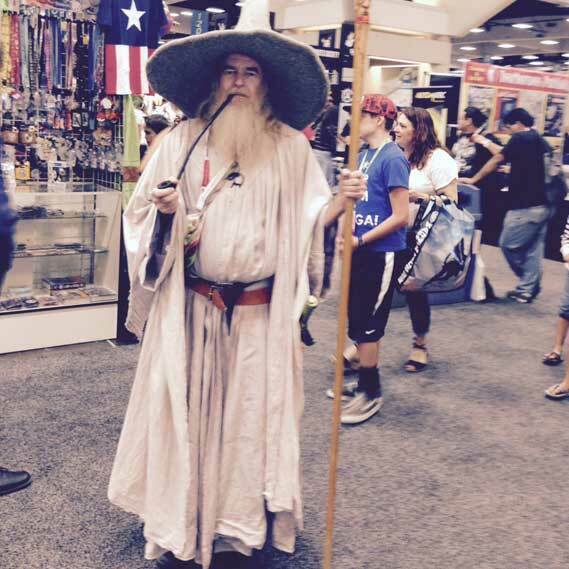 Gandalf the White: Maia wizards aren’t superheroes, but they definitely have super powers, and this guy nailed the costume. We did not pass; we stopped to take a quick photo, first. 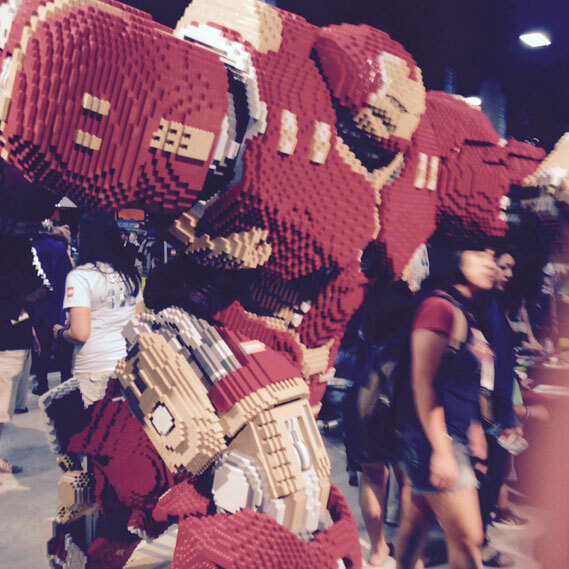 The LEGO booth was amazing as always: here, a life-size recreation of Iron Man’s Hulk Buster armor towered over us. 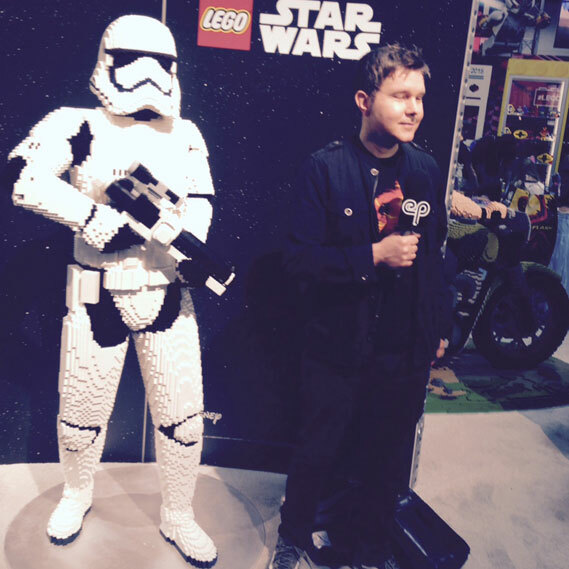 They also had a LEGO Stormtrooper: non-LEGO human being for scale. 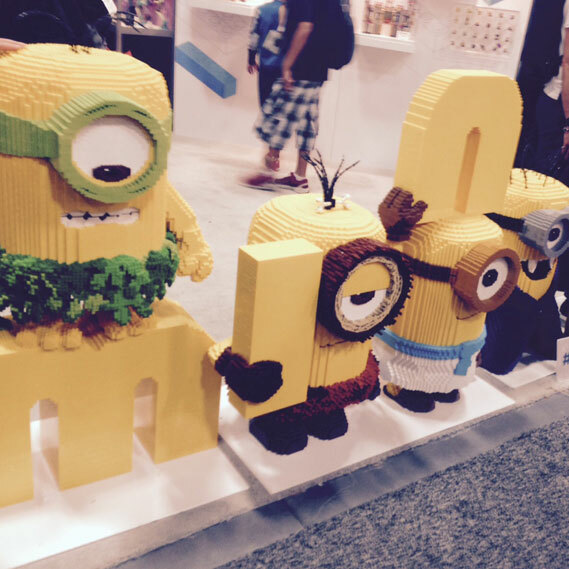 Even the Minions were sculpted: actually, these are Mega Bloks. 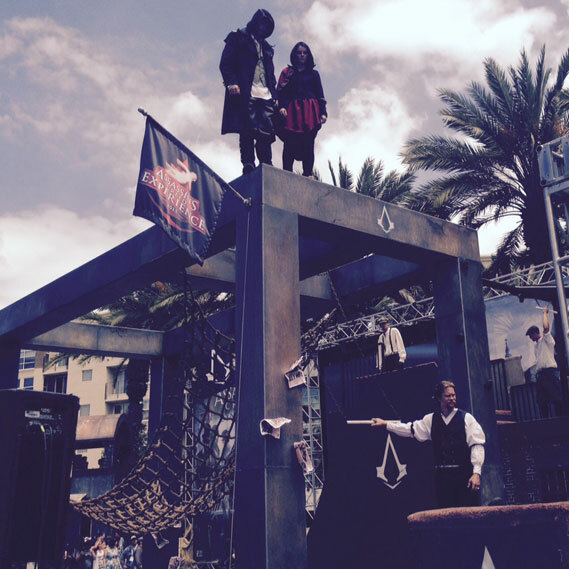 The Assassin’s Creed obstacle course returned: this time, the interactive experience starred Jacob and Evie Frye, the protagonists of the upcoming, Victorian England-set Assassin’s Creed Syndicate. 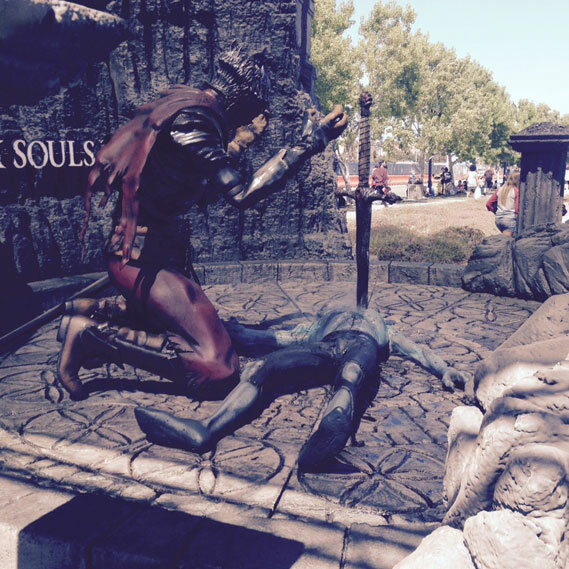 From Software had a cool Dark Souls exhibit as well: this statue really captures the feeling of being constantly invaded (and slaughtered) by other players. Flash and Arrow costumes: this was definitely one of our favorite things at the con. 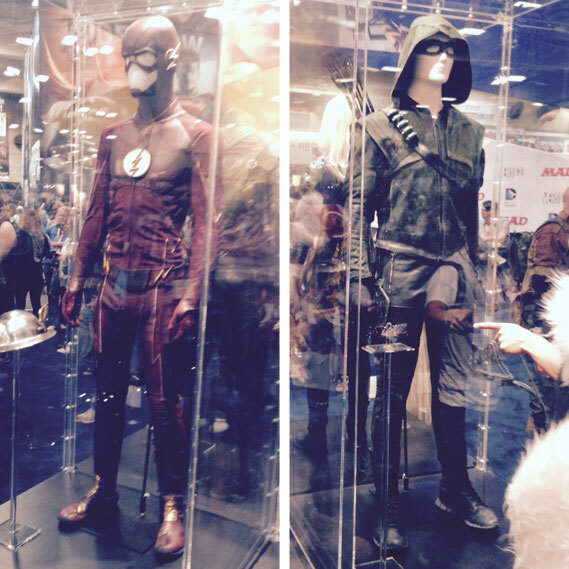 On display were some of the actual costumes in DC’s Flash and Arrow TV series. Batman and Superman costumes: here’s another one for the prop geeks. 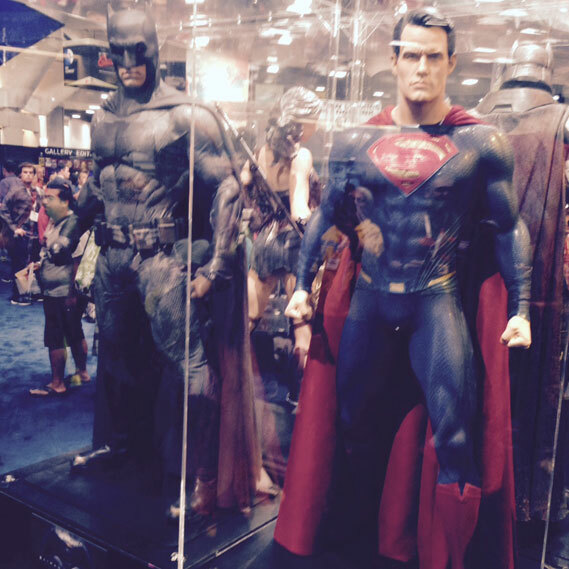 These are the Batman and Superman costumes from the upcoming Batman v Superman: Dawn of Justice. 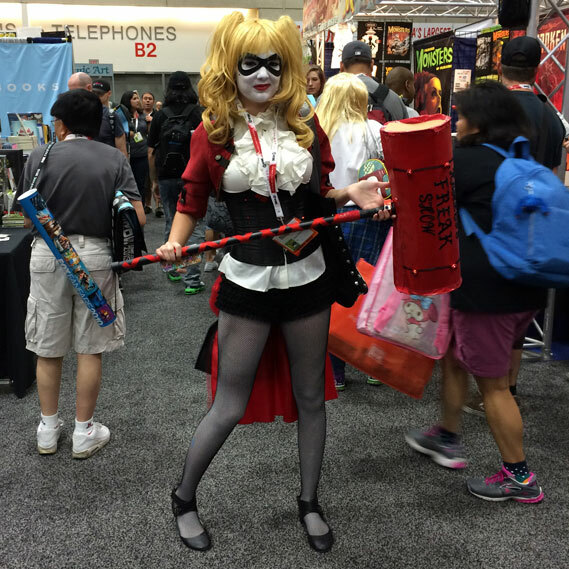 DC costumes done in 1960’s style: These cosplayers reworked some of DC’s leading ladies’ outfits in an amazing way. 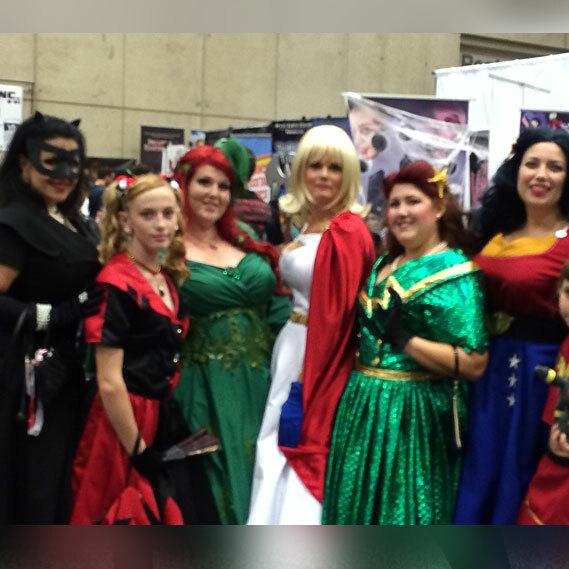 That’s Catwoman, Harley Quinn, Poison Ivy, Power Girl, Enchantress, and Wonder Woman, left to right. 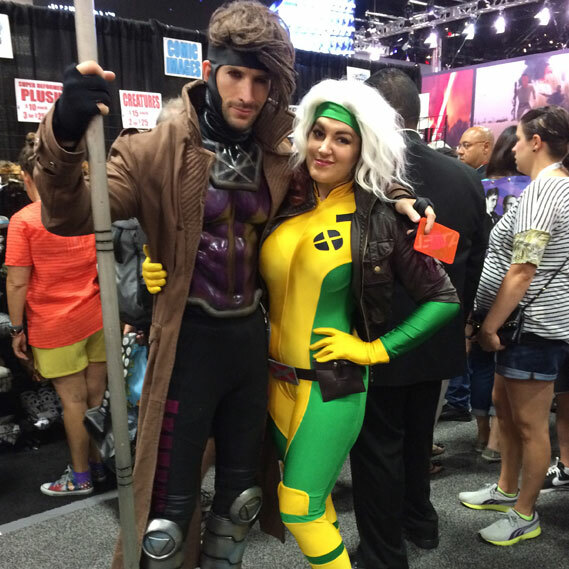 Rogue and Gambit: Back to the modern era, here’s a masterful rendition of everyone’s favorite X-Men couple. 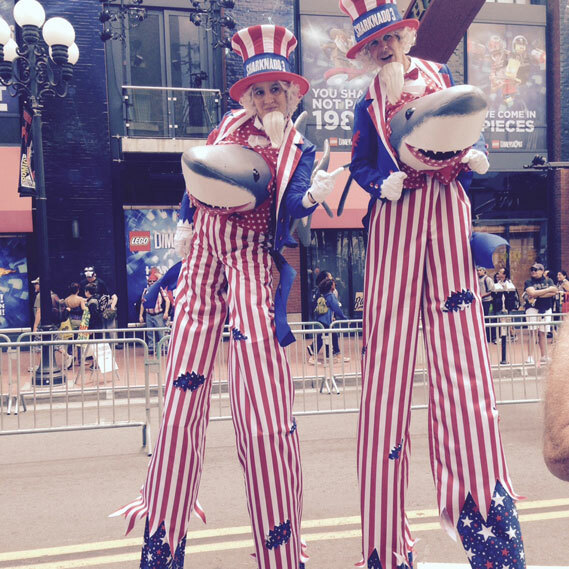 Sharknado 3: two Uncle Sams on stilts with sharks bursting out of their chests was the most American image at this year’s Comic-Con, by far. Sharknado 3: Oh Hell No! comes out at the end of July. 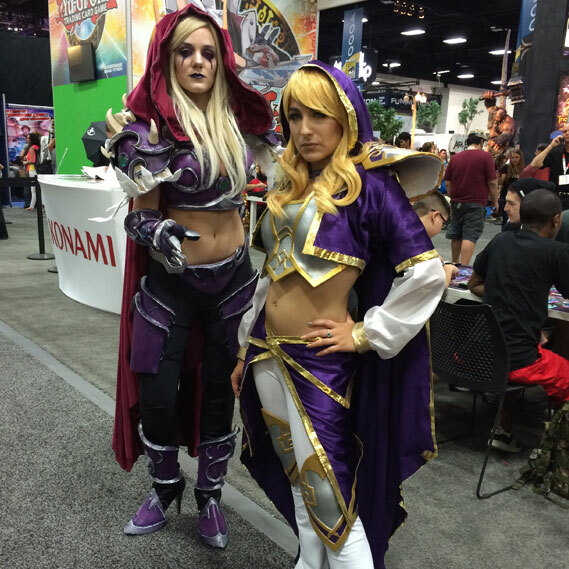 Sylvanas Windrunner and Jaina Proudmoore: any Warcraft fans here? 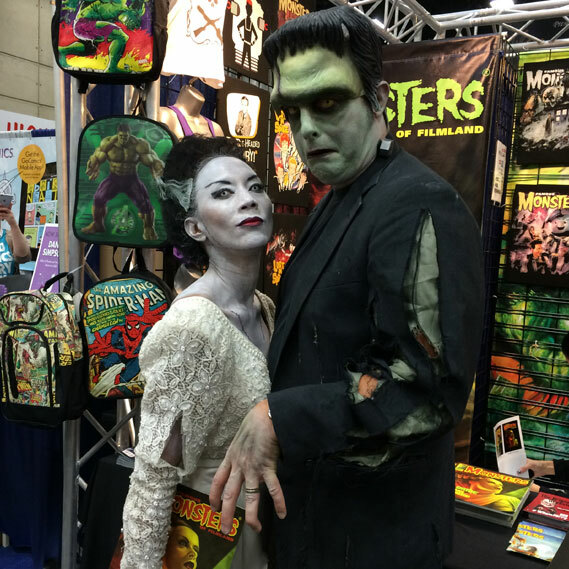 These costumes were both totally handmade, and totally awesome. Joy and Belle: another somewhat unlikely couple. 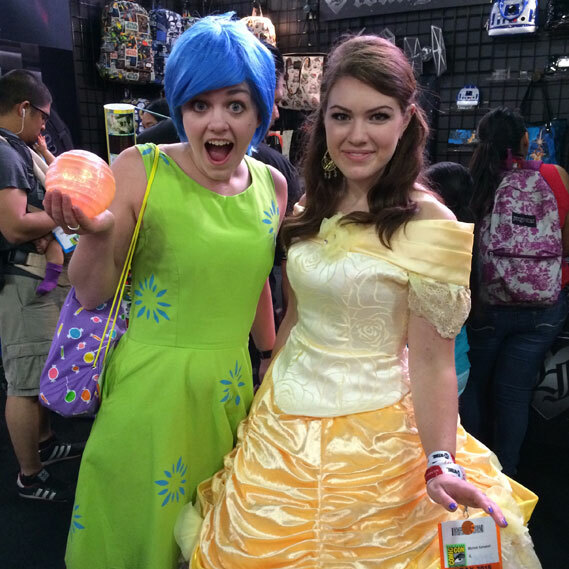 These two combined Disney’s latest smash, Inside Out, with the all-time classic, Beauty and the Beast. 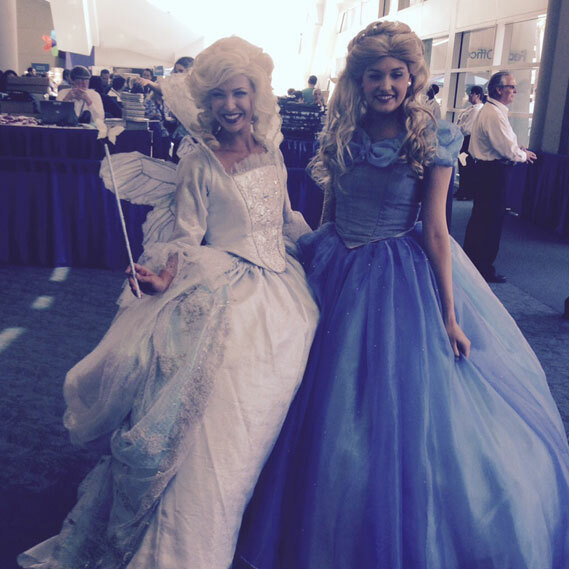 Cinderella and her Fairy Godmother: Keeping with the Disney theme, these Cinderella costumes looked like they were straight out of the movie. 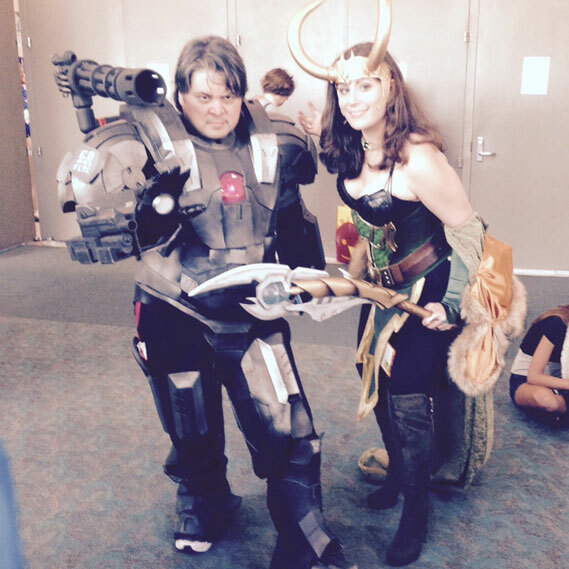 War Machine and Loki: Fem-Thor is canon, so why not Fem-Loki? We were blown away by the detail on both of these costume builds, from Loki’s staff to War Machine’s hand-sculpted armor (complete with stenciled serial numbers). Frankenstein and his Bride: Being the Halloween-o-philes that we are, we just had to cap things off with some classic horror.